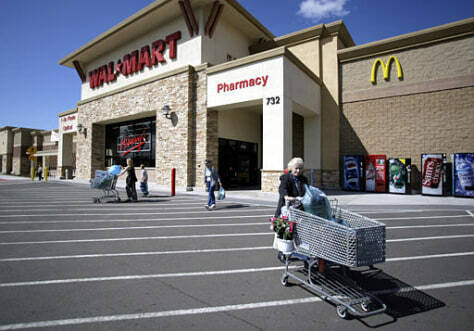 Shoppers exit a Wal-Mart store in San Marcos , Calif. The world's largest retailer blocked a proposed ban of its superstores in Contra Costa County, Calif., but lost a vote that could allow it to open another store in San Marcos. It has faced strong opposition in California to its strong plans for expansion.